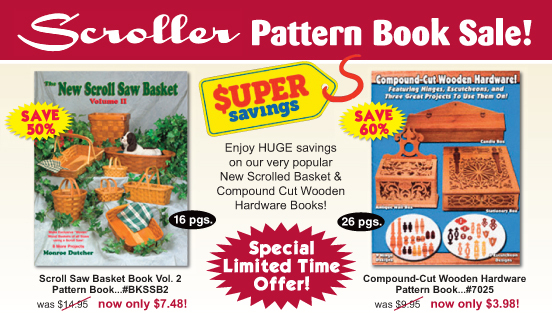 Your #1 Source for the Largest Variety of SCROLL SAW PATTERNS, BLADES, BOOKS, HOW-TO DVDS, WOOD & SUPPLIES! Project patterns include those for Baskets & Boxes, Birdhouses, Candleholders, Clocks, Crosses, Frames, Fretwork, Intarsia, Ornaments, Plaques, Portrait Art, Puzzles, Sconces, Shelves, Welcome Signs and MORE! !